We are excited to be on our way to Great Britain for their Annual Graduation Celebration, ministry on the street as well as at TC centers across the United Kingdom. TCUK has 6 residential centers and 12 outreach teams with over 500 workers who minister in multiple locations across the UK. We are grateful for your prayers as we have returned from Africa. Thank you so much for believing with me for my lungs. Despite the fact that there was worse dust in Rwanda than Malawi, God kept me. As we head to the United Kingdom this week, your prayers are just as important, we appreciate you. TC Great Britain has been at the cutting edge of TC ministry, since their birth. 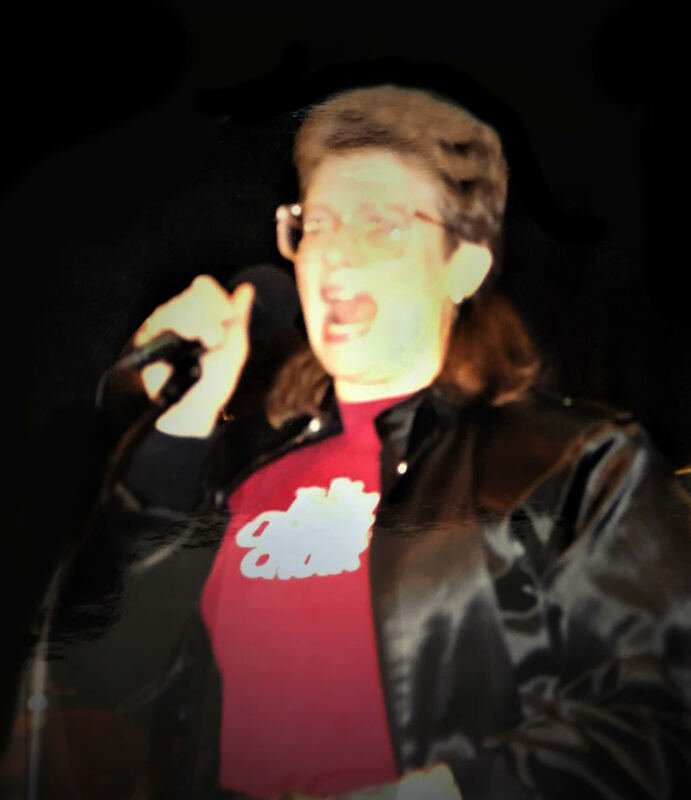 They were leaders in coffee house and residential ministry over 30 years ago. 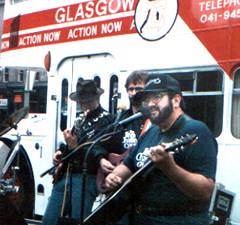 From the first outreaches in Belfast and South Wales, they quickly began to expand across the British Isles. Then, in the early years of Global Teen Challenge, they came alongside as visionary TC pioneers helping from Bombay, India to Swaziland, Africa. Phil Hills has carried on that global vision since taking over following Rev John Macey's retirement. My first Global TC assignment from Brother Don Wilkerson came in 2002 in cooperation with TC United Kingdom to go to Africa. In 1988, when it seemed like an impossibility, people began to speak prophetically that the UK mission was only the beginning, God was going to take us around the world. We are so grateful for all of you who have stood with us in prayer and support over these last 40 years of ministry. In 2016, as Global TC identified strategies to reach over 270 million addicts worldwide, and the fact that seven people die every minute from addiction, Phil Hills and the TC UK leadership took the initiative to find a way to reach the most hopeless of their nation. Prayerfully employing demographics to identify addiction, crime and poverty, they targeted the "most hopeless" communities in their nation. They have a committed team of street workers headed by Debbie Swandel. TC United Kingdom, once known for the 32 ministry points with double decker evangelism buses. Their outreach went from needle exchanges to the most violent streets of Northern Ireland, England, Scotland and Wales. In 2018, they have taken it to the next level. Their "most hopeless" team moves into the neighborhood. They don't visit, they live right in the community to minister hope to the "most hopeless." Come with us on the street, on the field and on stage for a raw, radical celebration of miracles and lives changed during the MISSION SOS GOOD NEWS FESTIVAL in Kigali, Rwanda with TC Africa. This sweeping video tells the story in ways mere words and snapshots cannot. 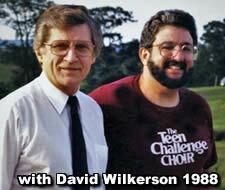 After a decade of Teen Challenge choir ministry, criss crossing the East Coast & five national tours with Teen Challenge Choir, David Wilkerson introduced me to John Macey at the 25th Anniversary Celebration of Teen Challenge Farm. John Macey, the visionary director of TC in South Wales invited us to bring a TC Choir team to Belfast, Wales, Scotland and England. That led to four "International Invasion Teams" as well as the "Broken Chains World Team" with TC graduates from every continent. We were honored to have a hand in helping them to start their own choir, The Evidence, who ministered internationally and were used powerfully by God across the British Isles. 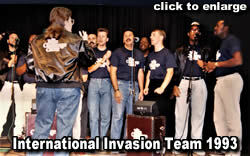 The international invasion teams were an exciting opportunity to provide ministry opportunities for TC graduates. More than that it marked the beginning of our international ministry. 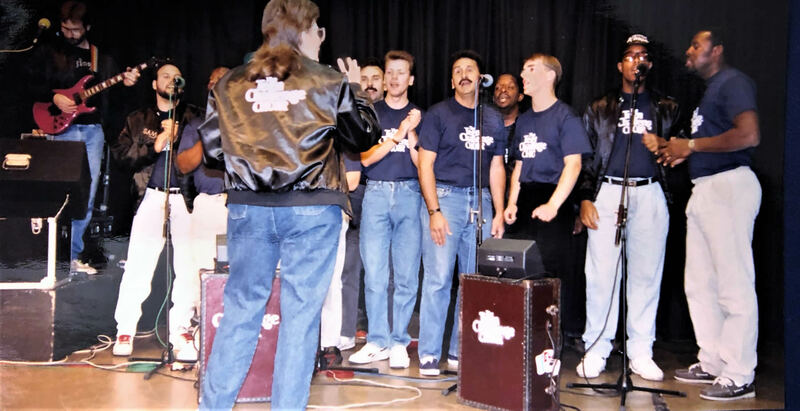 Our relationships with Great Britain TC, led to ministry in India and Swaziland and eventually the invitation from Brother Don Wilkerson to join the Global Teen Challenge Team. I determined to know nothing among you except Jesus Christ, and Him crucified … my message and my preaching were not in persuasive words of wisdom, but demonstration of the Spirit and of power, so that your faith would not rest on the wisdom of men, but on the power of God. The apostle Paul saw something as he wrote to the church in Corinth. He realized that a consistent walk with Jesus is not built on pretty words, or powerful preaching and emotion but the cross of Jesus Christ and faith. Faith is the fundamental foundation for a Christ-centered life. Through faith, we enter salvation, but that is just beginning. Through faith, chains are broken, through faith mountains move. Real faith--or lack of it--shapes our lives and determines what happens to us when the storms come and winds of adversity blow. Are you living for Jesus-or more importantly-living from Jesus? Test yourselves to see if you are in the faith; examine yourselves! Or do you not recognize this about yourselves, that Jesus Christ is in you—unless indeed you fail the test. Faith that cannot be tested is faith that cannot be trusted. Some point to church attendance or scriptural knowledge. “No,” I answered, gave him a fatherly hug and said, “I don’t need to hear it, I want to see it.” Knowing biblical truth, memorizing scripture or a mental assent is not a measure of faith. Even sound theology is not an accurate measure of faith. Until assent becomes action, “real faith” is not in operation. We often have the mistaken impression that faith is an emotion. When I feel good, then my faith is strong. When things are not going so well, when I’m frustrated or upset, then my faith is weak. The opposite is actually true. When you’re feeling good, you don’t need a lot of faith. But when it seems like everything is going wrong that’s when real faith kicks in. When the enemy does his worst, God does His best, because that is where our faith is proven. do we have a measure of our faith. Then it is no longer based on what others have told us or what we feel is true, but on firsthand experience of His faithfulness. To evaluate your faith, consider how you react to adversity. Do you cling to the Lord or get angry at Him? Is your attitude one of rejoicing because He’s making you more like His Son, or are you bitter? The calamity behind you and the confusion around you does not cancel the calling before you. No one can escape adversity, but those with proven faith will grow from it. Don't run from the fire-go through it! As we prepare to leave for the United Kingdom we still face some daunting financial challenges. Continue to pray with us as we face thousands in expenses to clear the costs for nearly 50 GTC Africa staff at Mission SOS in Rwanda. Thank you for standing with us, praying for us and as the Lord leads, your special gifts. Nottingham Road, Nottingham, NG7 7BA. before he left to start Teen Challenge. "It is with great sadness and joy that Lewis went to be with our Heavenly Father early this morning. He was able to say good bye to all of his family and some close friends over the last two days which was his last wish. Thank you for all your prayers and support as we walked through this journey. Love Claudia"
"A peaceful man, Lewis D. Johnson died on Tuesday, August 21, 2018, surrounded by his loving family. He leaves behind his loving wife, daughter and grandchildren. A pastor and career Missionary both in the Richmond area and Central Eurasia, Lewis will be forever remembered by the many souls that were set free because of his ministry. Born half of a set of twins on October 8, 1959 he made our lives extraordinary. A memorial service to celebrate his life will be held at Mechanicsville Christian Center, 8061 Shady Grove Road, Mechanicsville VA at 11:00 am. Saturday, August 25, 2018. We appreciate your prayers. Share with us in the miracles as we minister to staff, students, leaders and do outreach in Liverpool over the next 10 days. 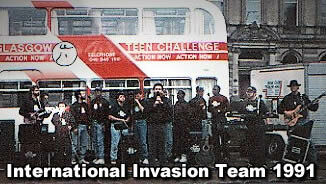 Our very first mission outside the US was to help build an outreach team with Teen Challenge in the UK. We are so excited to be ministering at Teen Challenge centers. across England, Scotland and Wales. We will also join their evangelism outreach in Liverpool with Debbie Swandel and the team in their ministry to the "most hopeless." Like Jesus, they live among them, love them and reach out to the lost and dying with the Father's awesome love and offer of eternal life. We will finish out our time with TC Graduation on September 1st. What a joy to look into the eyes of those who have been TRANSFORMED by God's amazing power and grace. LOOK WHAT GOD HAS DONE!! Stay tuned for those pictures and you will see for yourself! Sunday - 11 am and 6.30 pm at Sherwood Church, Nottingham.